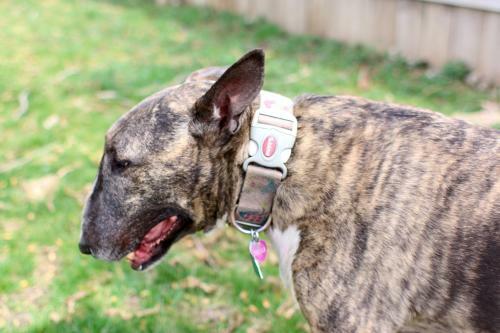 Learn more about the Bull Terrier. 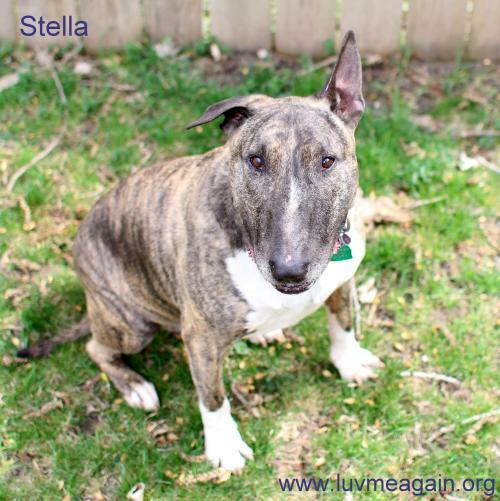 Print an adoption flyer for Stella! About Me: I am a sweet girl. My family's work schedule changed, and they couldn't get home to let me out all the time. They want to do what is best for me, so they want me to find a forever family that can let me be a part of the family, and not stay in a crate all the time. They mean the best, and I love them for caring about my happiness. I am hoping to find a new forever home that will spoil me rotten and consider me one of the "children". 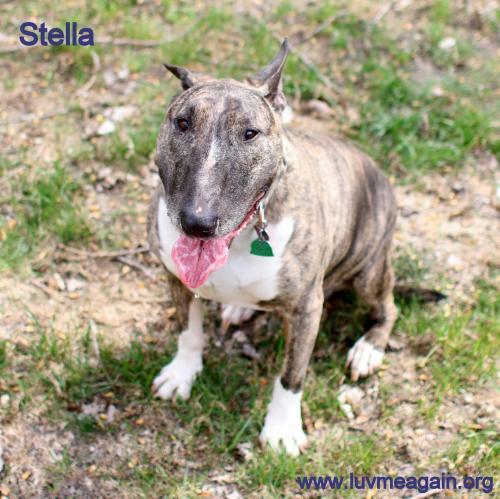 Currently we do not know if Stella will be able to attend the event, Adoption Event on Sunday, November 6th, 2016. Currently we do not know if Stella will be able to attend the event, Adoption Event on Sunday, November 20th, 2016. See Stella's attendance information for future events.